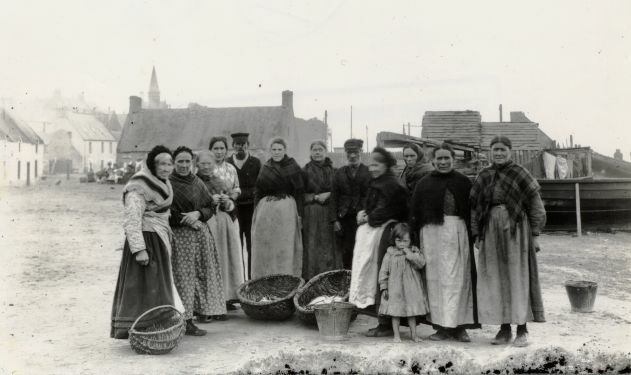 Cromarty Image Library - Fish market on Shore St - c1902?? A hardy breed o' womenfolk.the fisher lasses.i believe they used to carry their menfolk on their backs out to their boats off the shore.as well as bare them children. modern misses of today with painted nails & toes somehow don't fit the bill!.shonny mhor. the black isle.